In case it wasn’t obvious, The Guesscipe Book loves cheese. So when a recent shopping trip ended with the purchase of an unholy amount of Brie, something needed to be done. 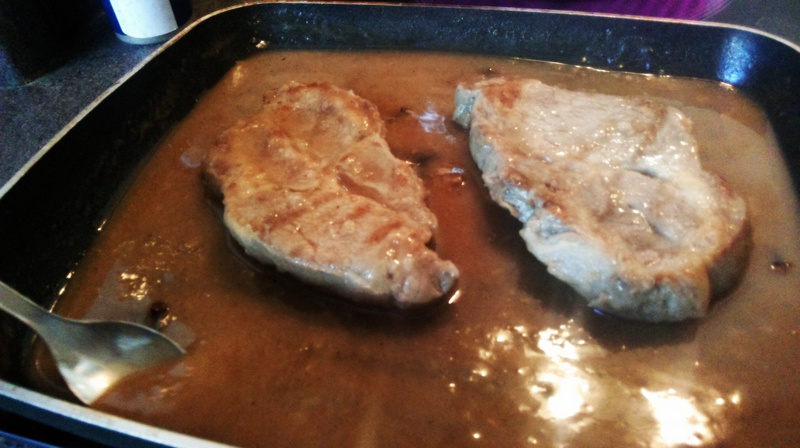 The beauty of this recipe is that, so long as it is done right, the pork stays moist and not chewy. The sweetness of the apple and creaminess of the brie really do complement each other in this fairly decadent dish. 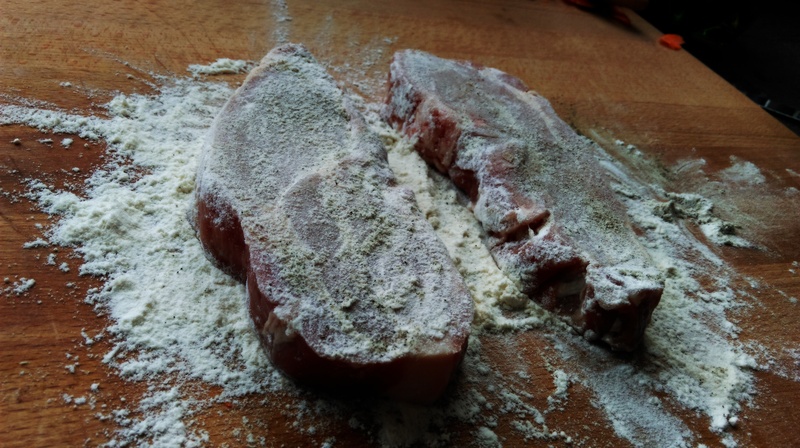 Coat your pork chops well with flour and seasoning. 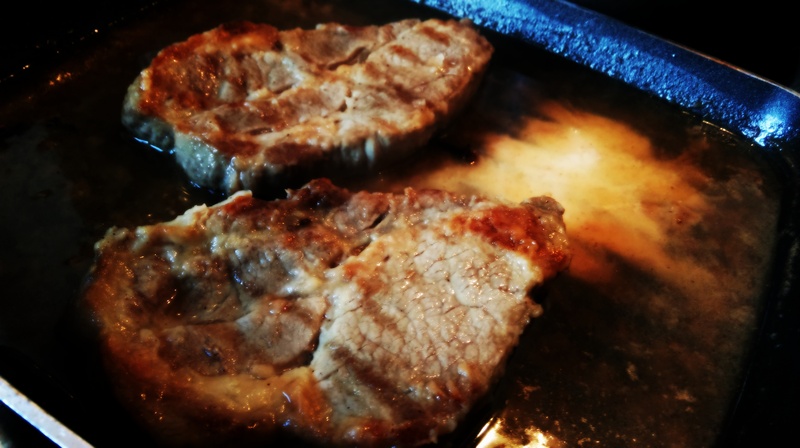 Oil a frying pan and heat fairly high, then add the pork chops – you’re just trying to get some colour and char on, don’t let them cook through or they’ll be tough later on. In a jug, combine cider, nutmeg and a small amount of honey. Stir well, but be aware the nutmeg will float. 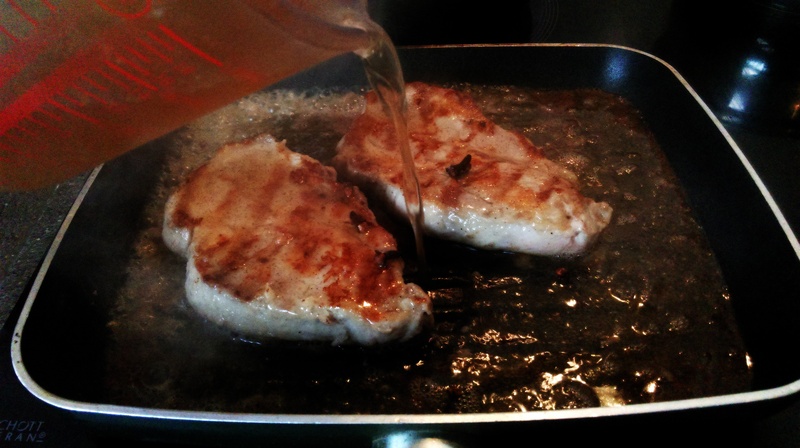 Reduce the heat and add the cider mix, enough that it comes about half way up the chops. 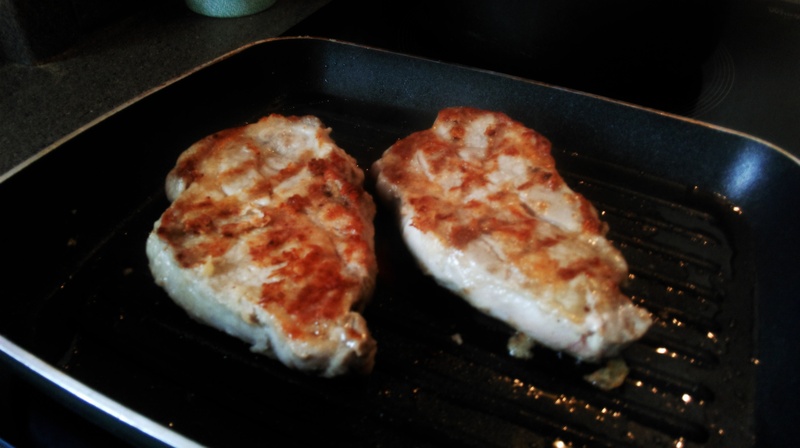 Cook gently for a while until the pork chops are a consistent colour all the way through (look at the sides). 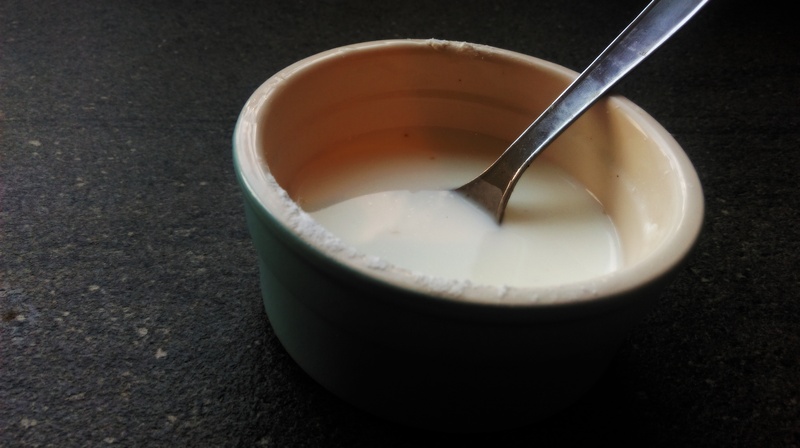 In a small dish, combine a few teaspoons of cornflour and water. 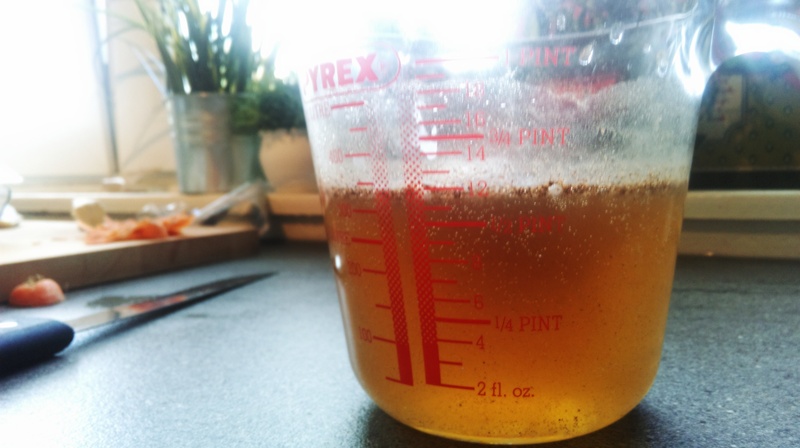 Spoon this into the cider mix, a few teaspoons at a time and stir well. Keep doing this until the cider has thickened to your liking. 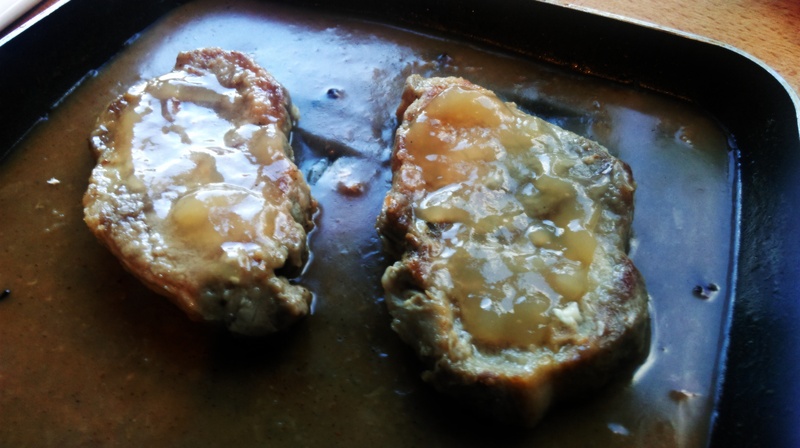 Add a few spoons of apple sauce to the top of each pork chop, then cover that with a generous amount of sliced brie. 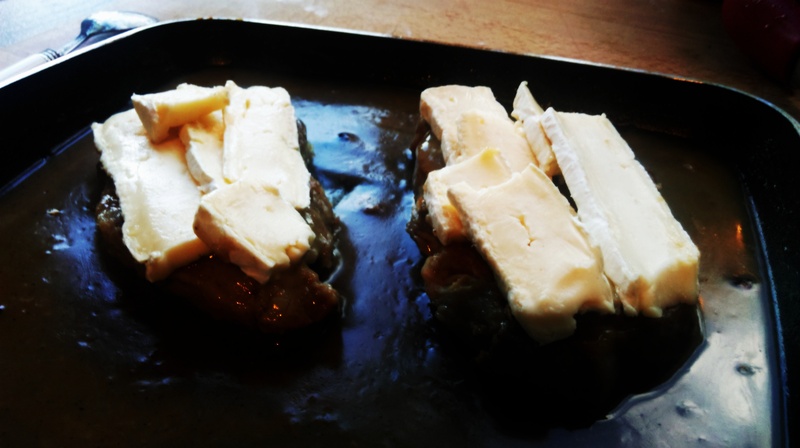 Grill under a medium heat, just until the brie has melted and is beginning to brown. 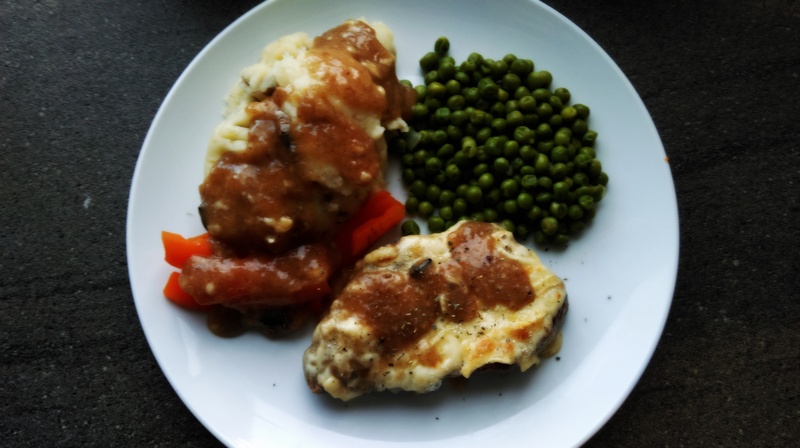 Top with the herb of your choice and then they’re ready to serve! 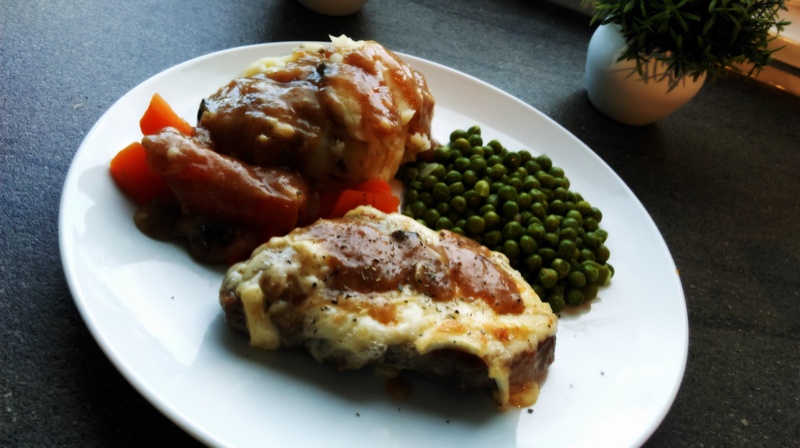 These will keep in the fridge for a couple of days, but may be a little tougher upon reheating. 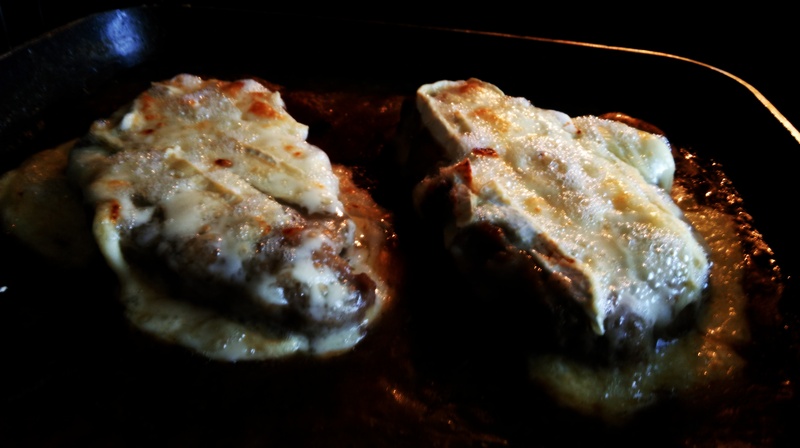 Posted in Guesscipes, Mains, Pork, SaucesTagged apple pork, apple sauce, brie, cheese, chop, cider, guesscipe, melt, pork, recipeBookmark the permalink.